At Wet Paint! students work in an art studio, through and through. Our art education combines western-classical and contemporary approaches to develop attention, coordination and the imagination. Students are exposed to a range of materials and techniques as well as the viewing and discussing of art. We believe strongly in working from observation, looking at art history for guidance and inspiration and also paying attention to the ever evolving art scene. Our studio space often hosts art shows and artistic events creating a lively and changing environment. We offer small class sizes, genuine art materials, and our love for art. 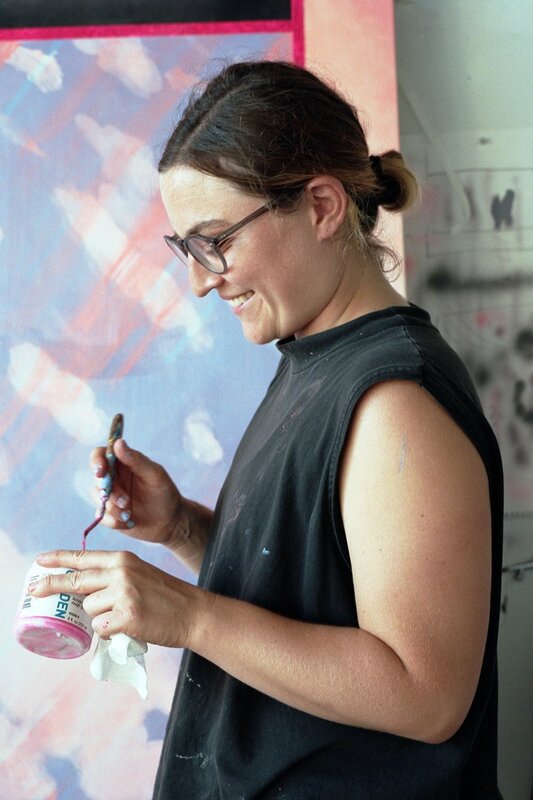 Leticia Ortega Cortes, NYC based artist, holds art studies from Cooper Union, School of Visual Arts and Parsons School of Design in New York City, and from diverse cultural centers in Mexico. She earned an Architectural degree at Coahuila State University in Mexico. Leticia has held numerous exhibitions in the United States, Mexico and Italy. She had a solo show in 2002 at the Museum of Cultures in Saltillo, Coah., MX. Her work was selected for the First Biennial Olga Costa in the Museo Jose Chavez Morado, Guanajuato, Gto, MX. She has received prizes and awards in painting and sculpture at the Vitro Art Center, Monterrey, MX and received 1st prize for in designing an Educational Center in Coahuila, MX. Her work forms part of public and private collections including the permanent collections of Vitro Art Center, Monterrey MX and Coahuila Cultural Institute, Saltillo, Coah., MX. She has curated several exhibitions and has participated as juror of art competitions. She has taught art at several institutions including: American School and El Nix in Coahuila MX, and Wet Paint! Art Studio in NYC. Her work is represented by John Davis Gallery. Dionisio Cortes holds a Master’s degree in Fine Arts from Hunter College, CUNY, and a Bachelor’s degree in Architecture from the Coahuila State University in Mexico. Dionisio has held numerous exhibitions in the United Sates, Mexico and Italy. His installation work has been shown at different venues including Monterrey, Saltillo, Aguascalientes, and Puebla in Mexico. Mr. Cortes is recipient of numerous prestigious awards including an Honorary Mention at the Monterrey Biennial in Mexico and several prizes at the Vitro Art Center also in Monterrey. His work forms part of public and private collections. He has curated numerous exhibitions and has participated as juror in a number of art competitions. His cultural and educational projects have received grants from several foundations including the National Council for Culture and Arts in Mexico City, and the Coahuila Cultural Institute. He has taught at several institutions including the Tlaxcala Cultural Institute, the American School of Saltillo, El Nix, the Coahuila Cultural Institute, and at Wet Paint! Art Studio in NYC. His work is represented by John Davis Gallery. Bennet Wood is a New York native and Wet Paint Art Studio alum. He has been a teacher assistant at WPA for three years. Bennet is an aspiring artist and will be attending college next year.